Spending a day in the neighbourhood of Shinjuku in Tokyo feels like you are in a small city within a city. There are so many diverse places to visit and things to do that this place can both elevate one’s holiday spirit with its happening cafes or bring peace to one’s mind at its parks and shrines. Almost always teeming with people, Shinjuku is a popular neighbourhood in Tokyo, the capital of Japan. A famous shopping hub, it is also popular for various cultural locations that people can visit when they want a break from shopping. 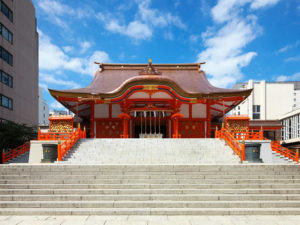 Besides cafes with interesting themes, there are museums, shrines, observatories, showrooms and parks, all of which have something unique as their selling point. “Shinjuku is the high-rise area of Tokyo and considered less prone to earthquakes. It is also the night life hub of the city – from smooth jazz to raucous to seedy to electronic. And the good thing – it caters to all ages! Eateries for all budgets and cuisines and, of course, anything that moves. 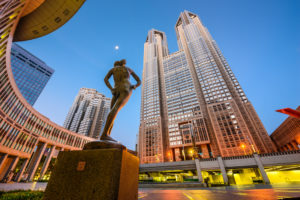 Do not aim for a quiet evening if you are heading to Shinjuku,” says Abhijit Basu, a travel enthusiast and retired banker from Kolkata, who visits this area every time he is in Japan. 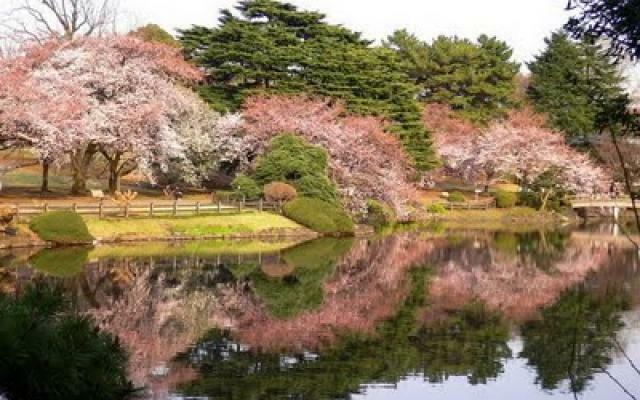 So get set and explore this vibrant and varied neighbourhood of Tokyo. Gyoen National Garden is perhaps the most green and beautiful space amidst the concrete environs of Shinjuku. In its compound there are different gardens – English Landscape, French Formal, Japanese Traditional (with teahouse) and the Mother and Child Forest (Haha to Ko no Mori). During the sakura (cherry blossom) season, the central lawn is particularly stunning. The freshness that’s around, makes this place apt for a picnic. There is also a gourmet food hall in the vicinity, just south of the Shinjuku Station. One of the best views of the city is from this observation deck and it’s free! 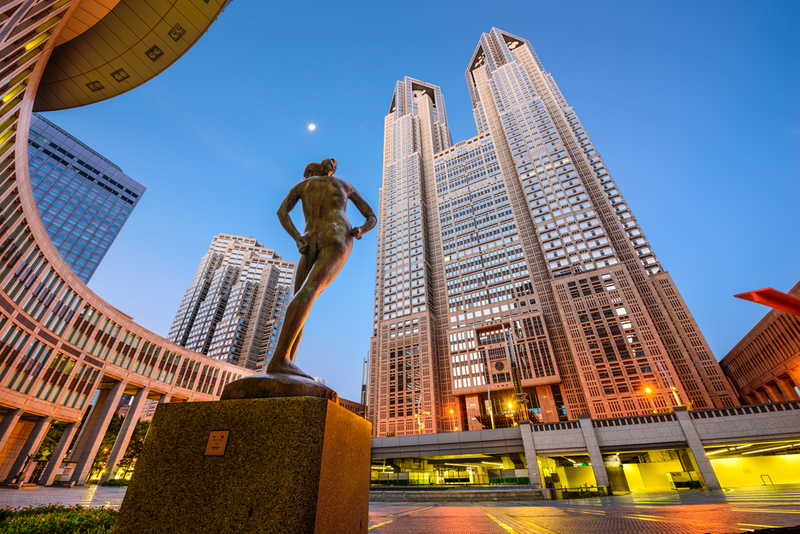 Home to a pair of observation decks on its 45th floor, the domineering Tokyo Metropolitan Government Building is likely one of the most interesting spots for tourists visiting Shinjuku. The deck offers a stunning bird’s eye view of the city. The best part about building is that access to the observatories is free of cost, which is a catch considering that other observatories charge anywhere between JPY 1,800 to JPY 2,000 (EUR 13-15), or more. This spot is popular as a sunset viewing point and for the view of Mt. Fuji on a clear day. What’s more – visitors are also served refreshments. 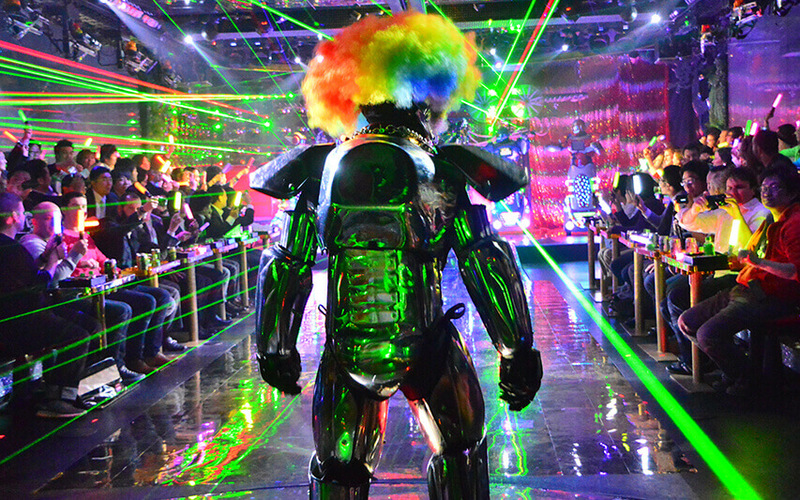 Shinjuku boasts of an exciting night-life, especially with its unique Robot Restaurant where food, music, dancing and lights, club with robot fights. It is either human size robots at play in the pavilion or female artists putting on various acts. Although its food has received low rates from reviewers, it is the fights or the robot show that is the USP and what attracts most guests here. The house is always full, and so pre-booking ‘tickets’ to the restaurant is recommended. 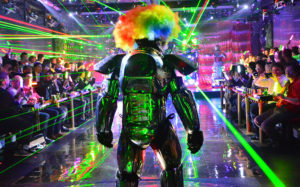 One-of-its-kind, the restaurant pulls together a show of LED lights, anime, robots, battle tanks to create a unique ambience. 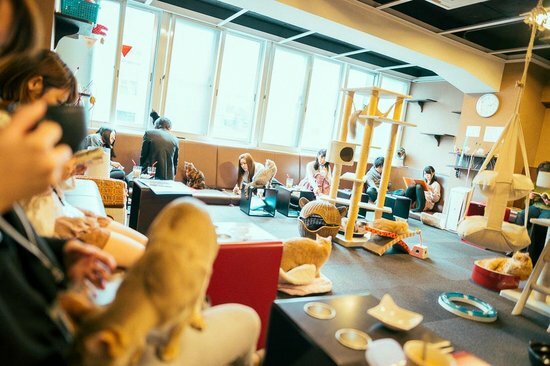 Tokyo is popular for the many cat cafes that thrive here – over 100 of them! But with over 50 cats in its premise, the Calico Cat Cafe is one of the most popular one in Japan. There are one hour sessions offered to guests, who can come here and cuddle away for 60 minutes; and or those who cannot get to pull themselves apart from the cute, furry beings, an extra 10 minute session can be asked for. One of the most important shrines and a rather old one, the Hanazono Shrine dates back to the Edo Period. It has survived the test of time and weather, calamities and also wars. The place of celebration of a number of festivals throughout the year, the shrine is particularly known for New Years Day prayers on January first, Setsubun Festival and Two Horse Festival in February, Festival Koxinga in March, Flower Festival in April, Shinto Purification in June as well as December and Clock Festival in November. So take a break from shopping and relax at the garden, take in the view from the observatory, visit the shrine, cuddle up with furballs at the cat cafe and end your day watching some robots fight each other at the Robot Restaurant.